Plain wooden 4 1/2" x 3/8" x 2mm undrilled sticks. They can be used for making a variety of craft items. 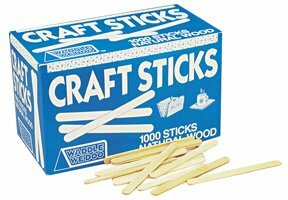 They also make good paste spreading sticks. 1,000 to a box.